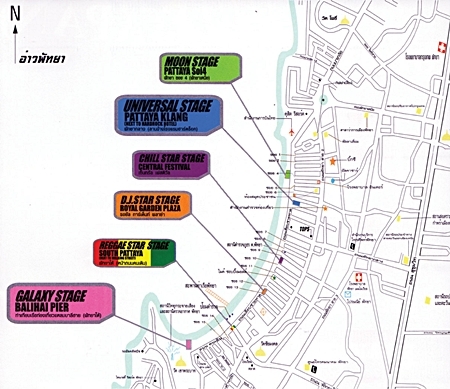 Expect heavy traffic as nearly half a million revelers expected to visit Pattaya for Music Festival this weekend. 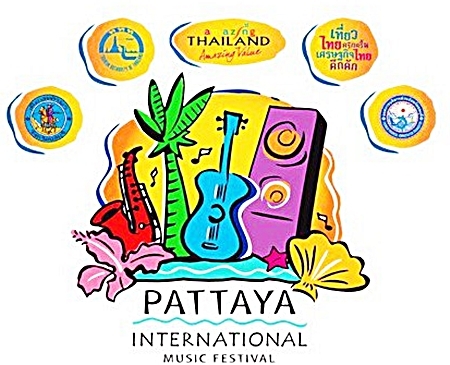 With 400,000 people expected to attend this weekend’s Pattaya International Music Festival from March 18-20, Pattaya officials are taking steps to keep cars and glass bottles away from the beach. Beach Road will be closed from 4 p.m. until 2 a.m. Friday, Saturday and Sunday nights. To blunt the traffic disruption, Second Road will become a two-way road during those hours. Festival-goers can park at designated lots at shopping malls, temples and other spots along Beach and Second roads. 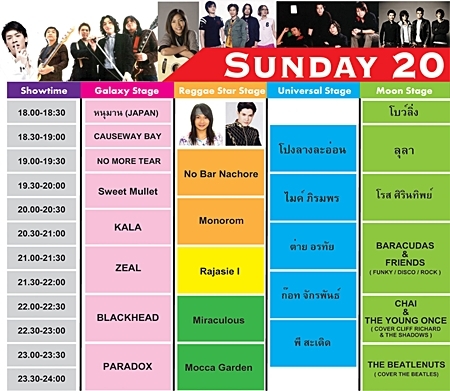 The festival will feature six stages between Soi 4 and Bali Hai Pier featuring top names in Thai and Asian pop. 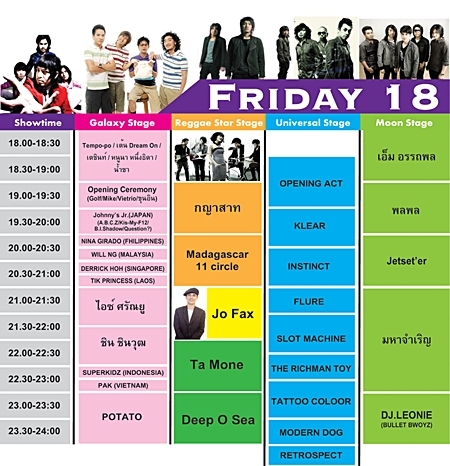 Well-known Thai pop artists Potato, Da Endofin, Ice Saranyu and Aof Pongsak will headline the concert, which plays out on stages at Bali Hai Pier, Walking Street, the Hard Rock Hotel and at Beach Road Soi 4. 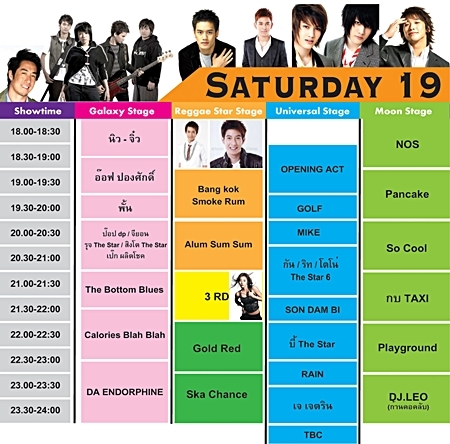 The festival also features a wide variety of Asian acts, including A.B.CZ, KisMyFt 2, B.I. Shadow, Question and Johnny’s Junior from Japan; Derrick Hoh of Singapore; Will Ng from Malaysia; Super Kidz from Indonesia; PAK from Vietnam: Nina of the Philippines and Tik Princess from Laos. More than 600 police officers, fire fighters, paramedics and volunteers will provide security, including at least 20 Royal Thai Navy personnel stationed at each stage specifically to keep an eye on rowdy youths. Anyone deemed to be disturbing the festive mood will be detained and not released until 1 a.m.
Pattaya police will operate from five booths along the beachfront to monitor the crowd and take complaints. Fire and medical personnel will be based at each stage. Alcoholic drinks will be allowed, but only in plastic bags. No bottles or cans will be allowed in the festival zone. Festivities kick off at 1 p.m. Friday at the Hard Rock Hotel where organizers and stars will gather for a press conference. In addition to the tunes, the festival will feature booths selling food and other knick-knacks, music lessons and chances for fans to meet their idols.